Global Super Sales 2018 ! The only GSS you need! 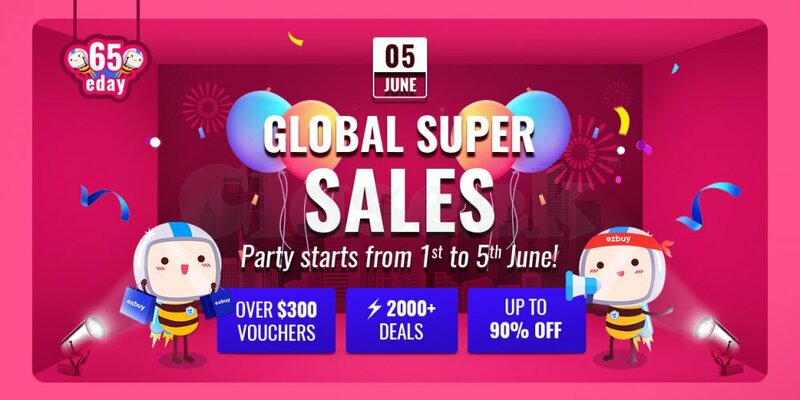 Enjoy $1 Deals, Free Shipping, Grab Cash Vouchers, Crazy discounts from China, USA, Korea, Taiwan, Local & New Japan Marketplaces online at ezbuy global shopping platform! Stay updated on our 65eday celebration & don't miss out ! Head on to www.ezbuy.sg now!